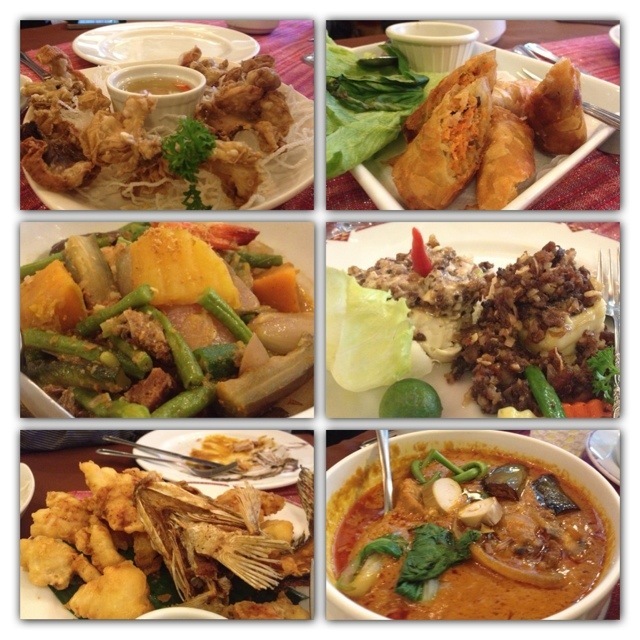 Where do you take foreigners to taste Filipino food in the Ortigas area? We decided to take the iSTART@PH participants to Cafe Juanita. I’ll tell you more about the iSTART@PH program in my next posts. This program kept me busy for the better part of January and is still keeping me busy this February. To have a taste of Filipino food, we decided to treat the participants to the new Cafe Juanita branch in Kaptiloyo. We had a room reserved on the 2nd floor for 20 people. We were feeling a bit adventurous so we ordered a few Filipino staples – Chicharon Bulaklak (deep fried innards), Kare-Kare, Crispy Pata, Pinakbet, Sisig on Tofu and Fried Tilapia. Unlike the original version where everything on display was on sale, this time, they’re only for show. It is still a nice eclectic selection of displays from the owner’s various travel finds though. Coffee and tea were equally served in a collection of tea cups from various countries. Of course, we capped lunch with dessert – Halo halo and leche flan for most of e participants.